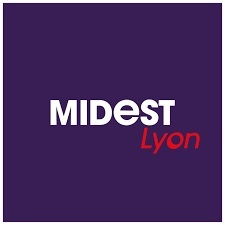 BART Srl will exhibit at MIDEST in Lyon (5-8 March), the international subcontracting show, will be staged as part of GLOBAL INDUSTRIE in conjunction with Industrie, Tolexpo and Smart Industries at the Eurexpo Exhibition Centre, Lyons. Fresh from the success of its Paris launch in March 2018 and the general satisfaction of all in the industry and the public authorities, GLOBAL INDUSTRIE is now coming to Lyon. This will be the first time that France’s leading industrial region will have played host to an event of this scale that is totally dedicated to industry. What are you waiting for? Come and visit us at STAND 6F116 from 5th to 8th March. Please do not hesitate to request your free entrance ticket to the email address: sales@bartbrocce.it (subject to availability). New customer recognition for BART!